In February, we broke ground on a soccer and basketball court at an all-girls boarding school located in San Andrés Semetebaj. The school, the Instituto Indigena “Nuestra Señora del Socorro” (the Indigenous Institute "Our Lady of Help") is a Catholic school in San Andrés, with an enrollment of 102 young women in 7th through 12th grade. The school was founded in 1992 with a vision to empower young Mayan women to achieve their educational goals and to be able to support their families and to be leaders in their communities. The school's students hail from 10 different "departamentos" or states across Guatemala, and many come from families with limited resources who would otherwise have difficulty in continuing in their studies past the 6th grade. We are excited to help this amazing school serve their students even better! Our second new project, the building of two new classrooms for a middle school in the community of Xequistel—a small village located near the city of Godinez—began in mid-March! This school, the Instituto Mixto de Educacion Básica por Cooperativa Xequistel, serves 75 middle schoolers from 8 nearby communities. 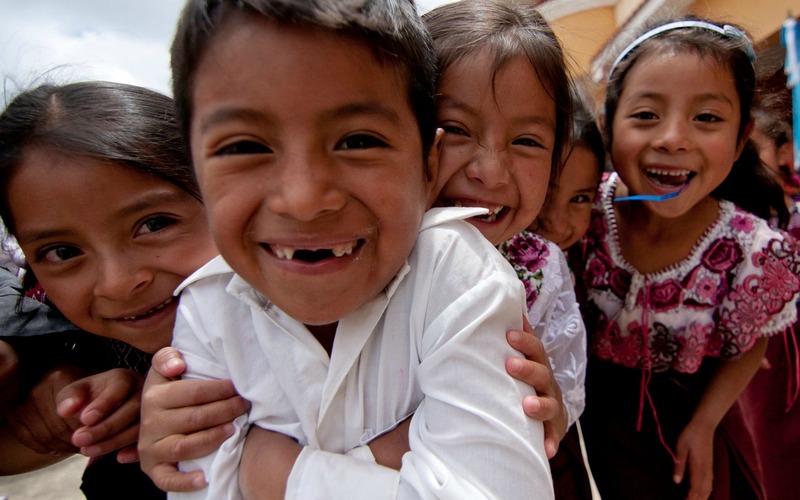 The school was founded in 2013 by community members, in conjunction with the Guatemalan Ministry of Education, as a place where students from the nearby rural communities could have the opportunity to continue their studies beyond the elementary level. The middle school currently has only 2 classrooms, and in order to have sufficient space for classes, up to now the school has had to "borrow" classrooms from the local elementary school. The new classrooms that Mission Guatemala is constructing will provide the middle school with additional classroom space that will belong specifically to them, giving the school new opportunities to grow and to serve the community of Xequistel and the surrounding areas for years to come! We're excited to have these new projects underway, and will be sharing pictures from these sites in the coming weeks!